Harvard University government professors Steven Levitsky and Daniel Ziblatt analyze the parallels between Donald Trump’s ascent and the fall of other democracies. How Democracies Die is a lucid and essential guide to what can happen here. Levitsky and Ziblatt show how democracies have collapsed elsewhere — not just through violent coups, but more commonly (and insidiously) through a gradual slide into authoritarianism ... When presenting the most distressing historical analogies, the authors’ understatement is so subdued it verges on deadpan. But our current moment is so fraught that How Democracies Die is never dull, even if the writing can be ... Levitsky and Ziblatt are drier and more circumspect. There is no democratic paradise, no easy way out. Democracy, when it functions properly, is hard, grinding work. This message may not be as loud and as lurid as what passes for politics these days, but it might be the one we need to hear. 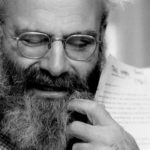 The greatest of the many merits of Steven Levitsky and Daniel Ziblatt’s contribution to what will doubtless be the ballooning discipline of democracy death studies is their rejection of western exceptionalism. There are no vaccines in American (or, I would add, British) culture that protects us: just ways of doing business that now feel decrepit ... As Levitsky and Ziblatt emphasise, democracy survives when democratic leaders fight for it. They tell inspiring stories I had not heard before... The authors are free from nostalgia ... You can find grounds for hope in the Republican party’s refusal to allow Trump to silence the Russia inquiry and the president’s unpopularity. Maybe America will return to normal. But as the authors of this excellent book, which manages to be scholarly and readable, alarming and level-headed, would be the first to say: there are no guarantees. 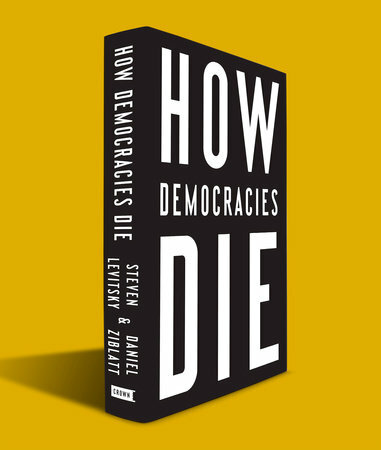 In this respect, How Democracies Die comes at exactly the right moment ... Steven Levitsky and Daniel Ziblatt, two of the most respected scholars in the field of democracy studies, offer just that. Their book starts by giving us a readable but thorough look at democratic breakdowns in societies around the world. They then compare those incidents with current developments in the United States — and arrive at some disturbing conclusions ... Today’s parties, Levitsky and Ziblatt write, 'represent not just different policy approaches but different communities, cultures, and values' ... Their studies of democratic collapse in other places around the world show that even well-established legislatures, courts and constitutions become vulnerable when leaders — particularly 'populist outsiders' — begin to violate accepted norms of political behavior ... The problems of American democracy, they note, don’t stop with our president. He is, they conclude, a particularly dangerous symptom of a much broader malaise. What did you think of How Democracies Die?